Serving Rochester's Comic Book Store Needs for Over 30 Years! Do you buy comic collections? If you have comics that you wish to sell, please send us an email or give us a call at (585) 248-0450. We would be happy to take a look! 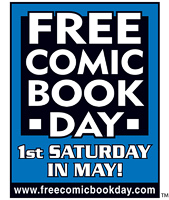 May the Fourth Be With You, because it's time for another Free Comic Book Day! Join us for this fantastic event!